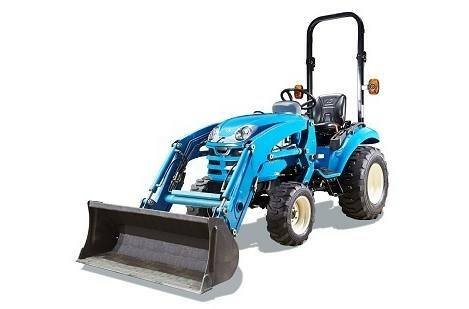 Modern Stylish Design – This small chassis compact 4WD is ergonomically designed and stylish with its distinctive blue color. Mitsubishi Tier 4 Engine - fuel efficient engine delivers reliable performance. Rubber engine mounts reduce operator platform vibration. Easy Open One-Piece Hood - provides accessibility for easy maintenance. Large Fuel Tank - 6.6 gallon capacity provides long operation times. Hydrostatic Transmission - maximizes ease of use with effortless, clutch-less and instant speed and directional changes with a simple push of the pedal. Simple Selections - select your gear range or 2WD/4WD with simple move of the levers. 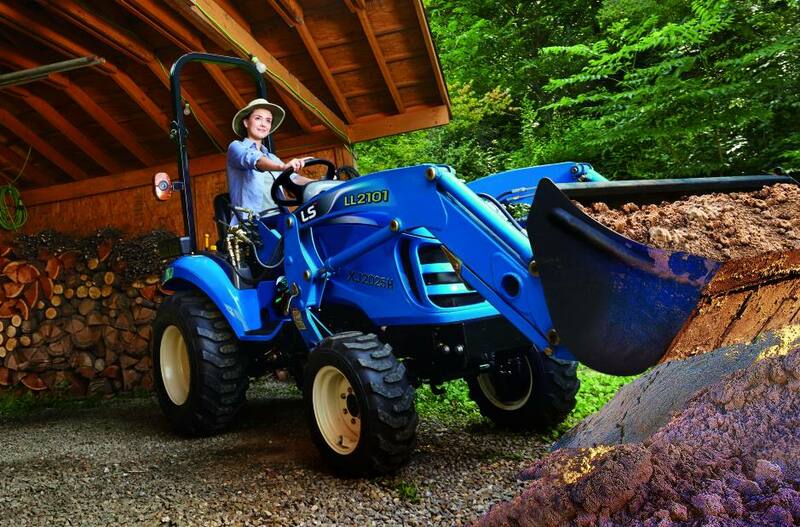 Hydrostatic Power Steering - makes turning easier, improves control and reduces fatigue. 3-Point Hitch - category 1 with a hitch lift capacity of 1,433 lbs. allows usage of a wide variety of implements. PTO On/Off Switch - turn the independent rear or mid PTO on or off with the simple and easy turn of a switch. Ergonomically Designed 3-Point Hitch Controls - easily accessible for maximum comfort and convenience. Adjustable Seat with Seat Belt - keeps you in a comfortable and safe position for maximum control. Standard Foldable ROPS - allows storage in low clearance buildings or sheds. Your Choice of Tires—choose industrial or turf tires at no additional cost; subject to dealer inventory. 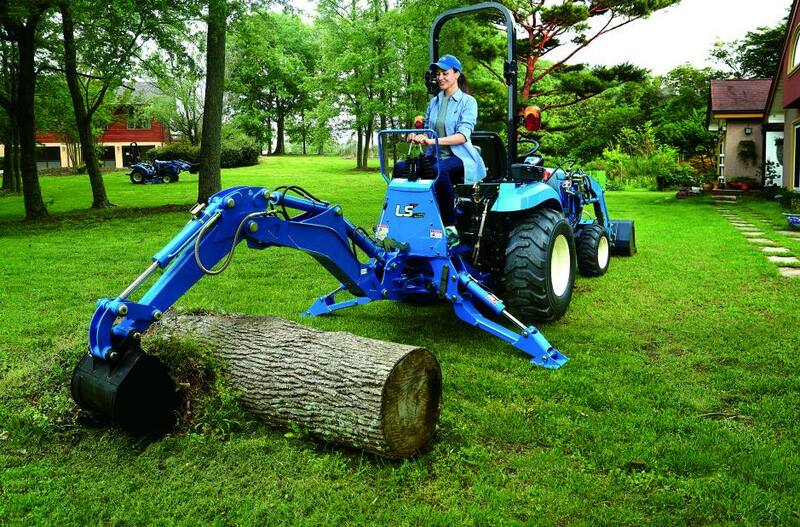 Optional Quick Attach Backhoe - remove or attach in seconds. Available with 9”, 12” or 16” bucket.. Overall length with 3pt: 103"
Min. overall width with IND tires: 44.9"
Height to top of ROPS, in. : 92.3"